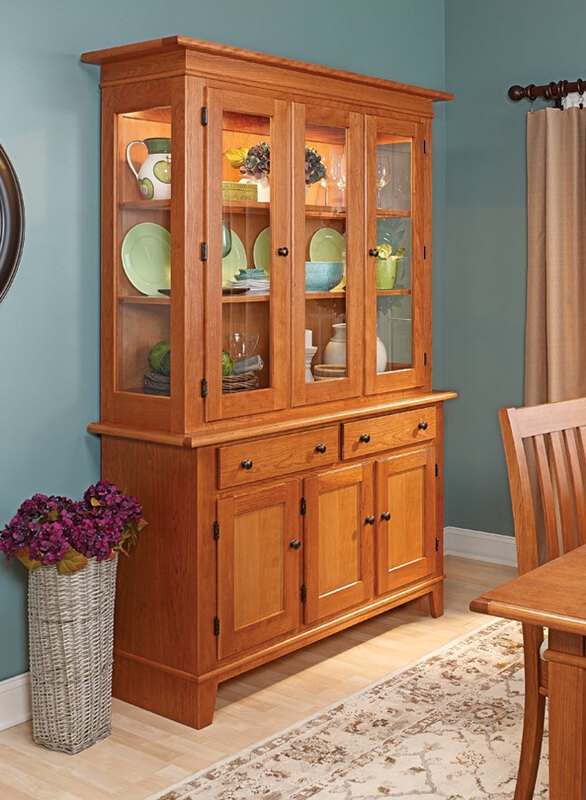 A dining room hutch serves as both a storage cabinet for a variety of dinnerware, as well as a display area for your fine china and other dishes. 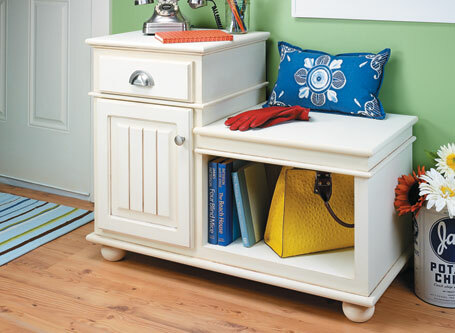 At over four feet wide and nearly seven feet tall, this hutch serves that role quite nicely. 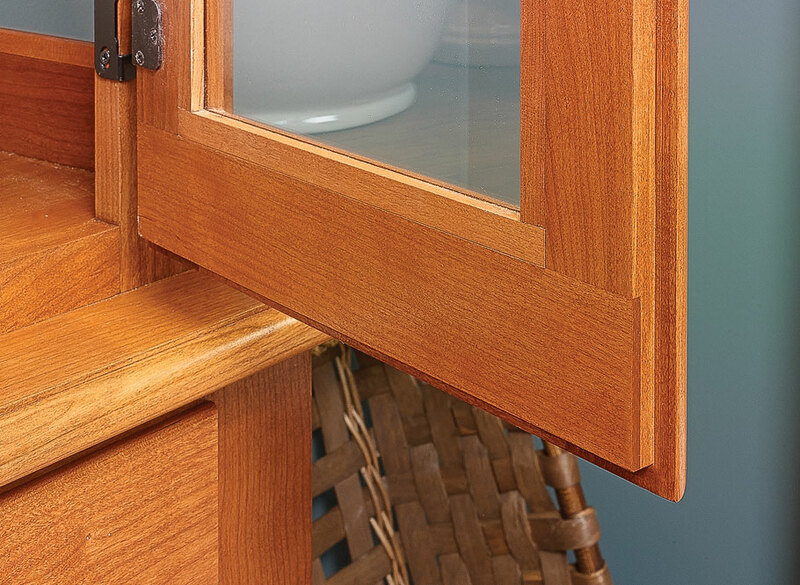 And the cherry construction, paired with the glass panels on the doors and ends of the upper cabinet, means that it looks great doing it. 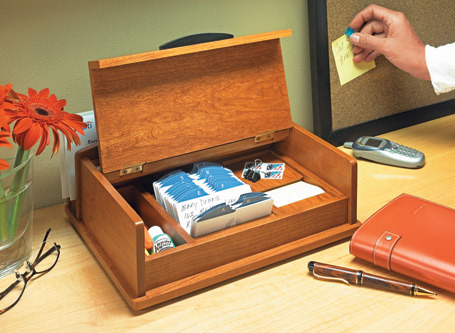 The hutch incorporates a wide range of woodworking techniques. 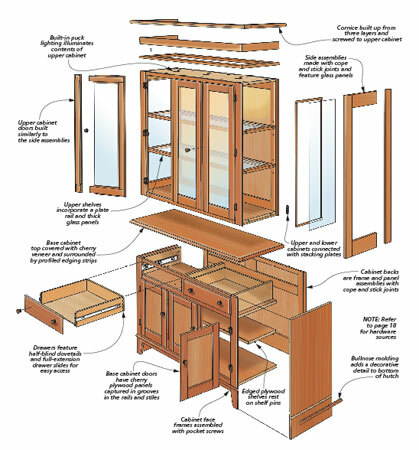 You'll be able to knock out some of the elements, such as the cabinets and face frames, with pocket hole joinery. 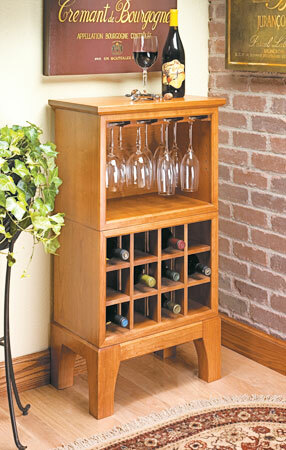 Doors and the back panels make use of a cope and stick joint that's easy to create at your router table. 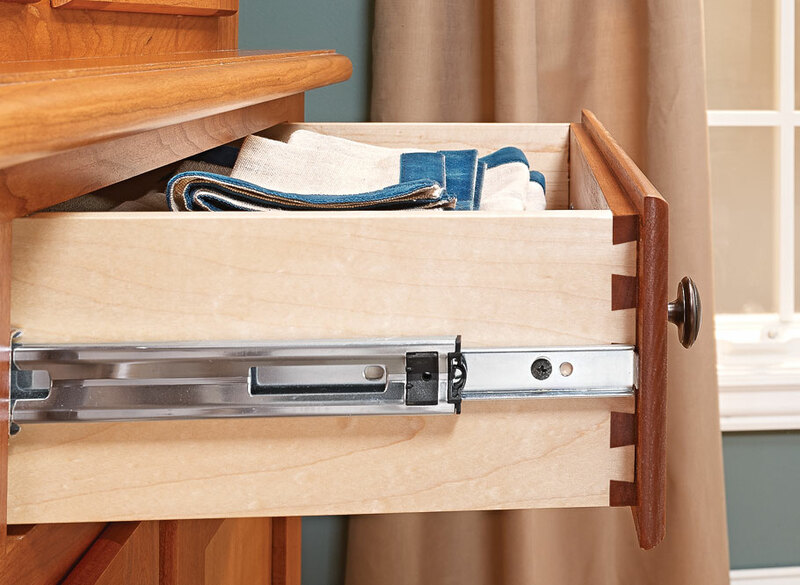 The drawers are built using half-blind dovetails. All in all, the result is a cabinet that not only looks nice, but also serves as a worthy complement to the other plans in this set: the dining room table, chairs and buffet.